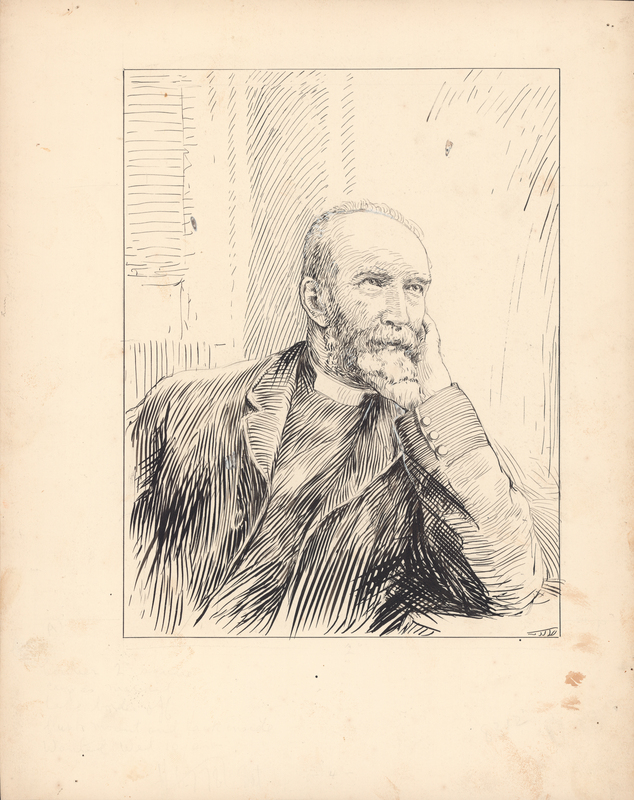 Item is a portrait of George Munro Grant rendered off-centre in pen and ink on illustration board. Also within the folder is a label originally taped to the drawing that gives its title and "no. 8 —", probably referring to its suggested placement in the order of illustrations that appear in One hundred years of Dalhousie, 1818–1918 (1920), the publication for which it was commissioned. The image was reproduced in D.C. Harvey, An introduction to the history of Dalhousie University (1938) and P.B. Waite, The lives of Dalhousie University, volume one, 1818–1925 (1994). Item is somewhat grimy, with smudges and multiple tack holes around the edges.